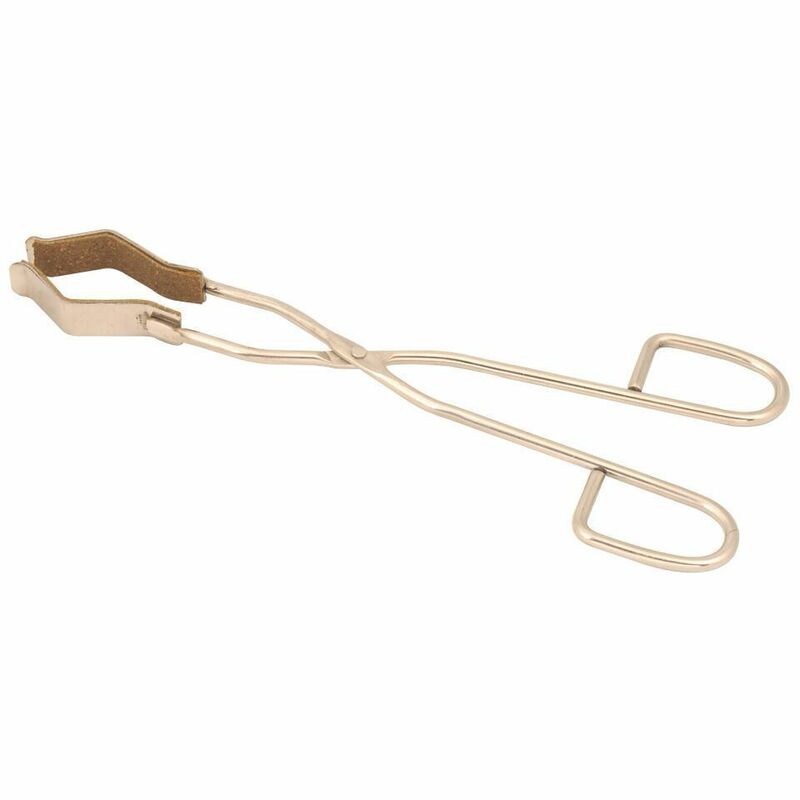 With cork-lined jaws, these stainless steel flask tongs are resilient and long lasting. The tongs fit flasks of any shape from 100 to 2000 mL. One tong is 30 cm long.